($14 Retail). 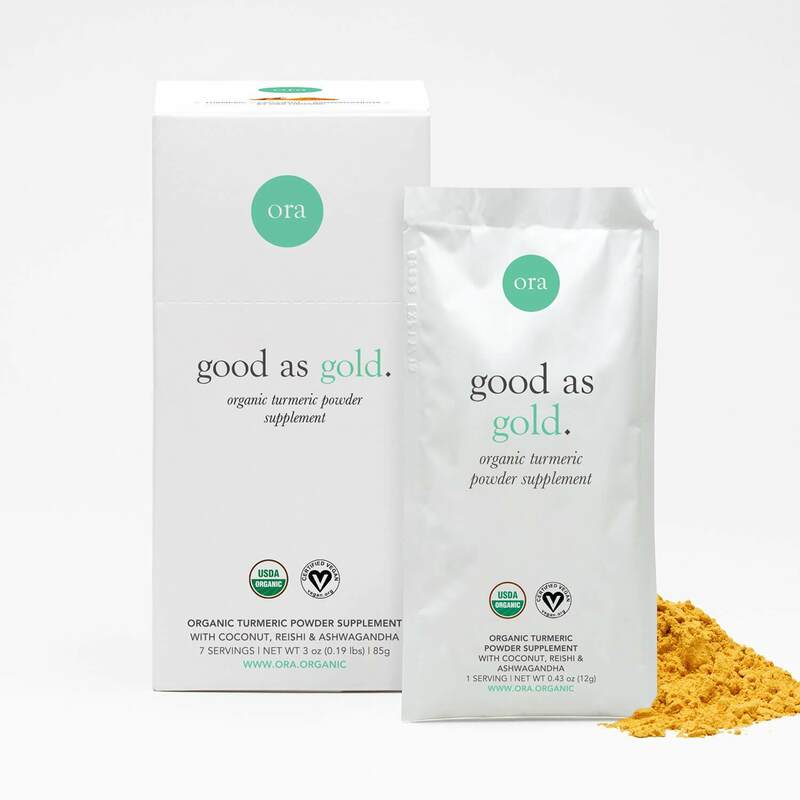 7 packets Good as Gold is an organic golden milk powder blend packed with turmeric, coconut, and superstar Ayurvedic herbs: ashwagandha, reishi mushroom, and ginger root. We’ve added a pinch of organic maple sugar and vanilla to enhance this powder’s rich turmeric and coconut flavor. You can enjoy this powder on its own with water or milk as a Golden Milk Turmeric Latte. Turmeric’s active ingredient, Curcumin, has been studied for its ability to support joint function and is high in antioxidants (hello, glowing skin!). Check out our blog for the full list of turmeric and curcumin benefits We’ve also included organic black pepper in this blend which can increase curcumin absorption by as much as 2000%.